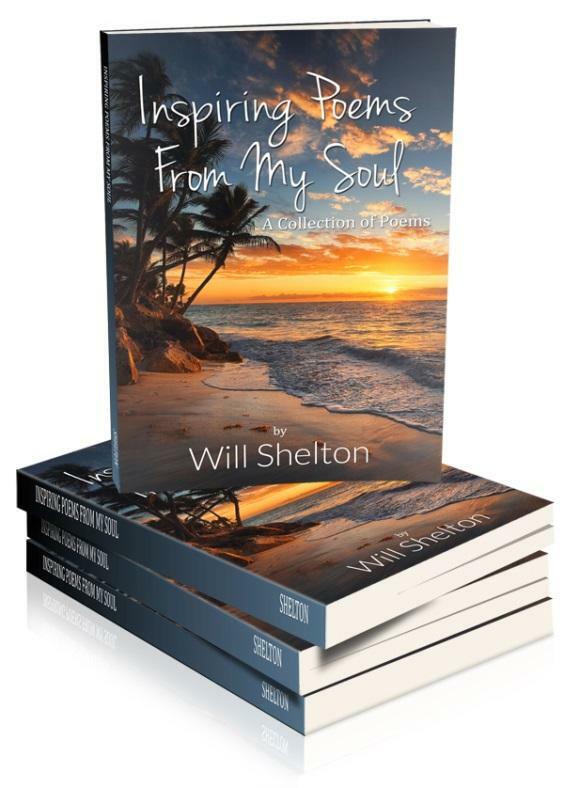 Inspiring Poems From My Soul – A Collection of Poems, Volume1, by Will Shelton, is a Soul to Soul experience from me to you. Flushing, NY, USA — Will Shelton’s Inspiring Poems From My Soul – A Collection of Poems, Volume1 takes you to that special place in every poet’s heart. A place where words speak to the soul. “Right away, you can imagine why I love to go to this “Special Place”. Again, imagine the sheer joy of journeying to your soul, where God will always be there to inspire you. 1 Corinthians 3:16 states, “Do you not know that you are a temple of God and that the Spirit of God dwells in you?” This is a Soul to Soul meeting, which makes each moment special and rewarding. It’s like the flickering of a butterfly’s wings to the wonders of our Milky Way Galaxy. Author Will Shelton is a husband, father, grandfather, brother, relative and friend. He also is a powerful believer in God and His Magnificent Creations. Will Shelton is a cancer survivor of over ten years who feels God has work for him. Will Shelton feels that part of that work is this book. Will Shelton is the author of Investing in Your Health… You’ll Love the Returns. Inspiring Poems From My Soul – A Collection of Poems, Volume1 ISBN 9781506904825, published by First Edition Design Publishing (http://www.firsteditiondesignpublishing.com), is available on-line wherever ebooks are sold. The 88 page print book version, ISBN 9781506904818, is published by First Edition Design Publishing and distributed worldwide to online booksellers. 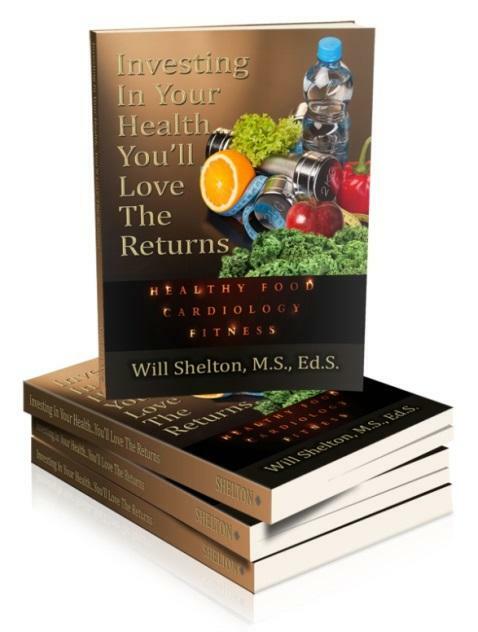 Investing In Your Health… You’ll Love The Returns, by Will Shelton, is an insightful and innovative look at how we can improve our personal health. Flushing, NY, USA — Will Shelton’s Investing In Your Health… You’ll Love The Returns examines current diets to help you make decisions about your eating style, as well as taking a look at sleep patterns in association with our overall health. Health and physical education warrant a bigger role in our children’s overall health and well-being. One of the chapters is entitled: Games People Play, which focuses on games (like football, baseball, basketball, and soccer) you played growing up. Will Shelton is deeply concerned that some neighborhoods, including parks are too violent for youth to play in. He presents some innovative ideas that can help curtail violence in neighborhoods. Will Shelton is a husband, father, grandfather, brother, relative and friend. He also is a powerful believer in God and His Magnificent Creations. Will Shelton is a cancer survivor of over ten years who feels God has work for him. Will Shelton feels part of that work is this book. Will Shelton is the author of Inspiring Poems From My Soul, A Collection of Poems. Investing In Your Health… You’ll Love The Returns ISBN 9781506904801, published by First Edition Design Publishing (http://www.firsteditiondesignpublishing.com), is available on-line wherever ebooks are sold. The 134 page print book version, ISBN 9781506904795, is published by First Edition Design Publishing and distributed worldwide to online booksellers.